Get Fit at LiveWorx – Sign up for a Personal Trainer Session! Premiere! 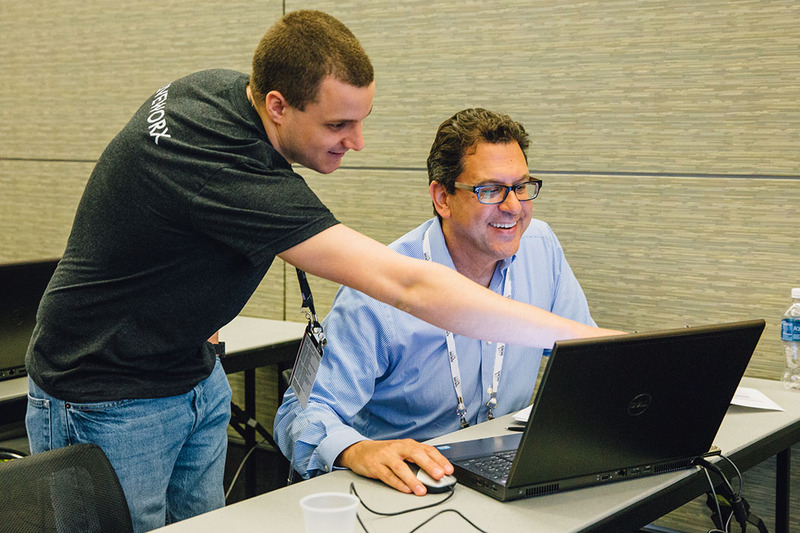 PTC University instructors are available for private training sessions at LiveWorx this year. Squeeze a short, but intensive learning unit into your event schedule and take new knowledge home. We have some of our best subject matter experts assigned to staff this. Matt will answer your questions around these Creo Parametric topics: Flexible Modeling, Sketcher and MBD. Note, that the team above will also be teaching classes during the conference, so not every topic is available on each day. Please review the schedule to plan your LiveWorx experience ahead of time. PTC University 1:1 instruction is only available from Tuesday to Thursday. First of all, participating in this program is free of charge. However, you must sign up in advance. We cannot accommodate walk up traffic as we would like to keep the room as quiet as possible. You can reserve your slot online today or during the conference. The team at the User Experience Center kiosk in Xtropolis will be able to assist with that, too. Be a fair sport! If you realize you cannot make your appointment, please let us know so someone else can take it. Slots are limited and registration happens on a first come first serve basis. >> Sign up for a session now and exercise with a no-sweat guarantee! The UX Center is located in rooms 157 A and B. The registration tool allows for scheduling of a private learning session, but also gives you access to the UX team and the full catalog of UX sessions for the various PTC solutions. Please also leverage this great opportunity to give feedback on and improve your PTC solution! Re: Get Fit at LiveWorx – Sign up for a Personal Trainer Session! Can i Join Session Online?? Hello - thanks for reaching out! The training sessions are all live sessions at the event, there is no online option for those. However, PTC University offers lots of eLearning options as well as virtual instructor-guided sessions in our regular class schedule. Please take a look at http://www.ptc.com/services/training for further information! And what about Mathcad training? Hi Vladimir, we are not running any Mathcad sessions at LiveWorx this year. Will you be attending? There will be a lot of Mathcad SMEs around, you should check in with the team at the Mathcad booth in the Expo Hall. If you would like to learn more about Mathcad training overall, you can connect with a Training Advisor through this form. We have lots of training options available.